Receptors get activated due to binding agonists in their respective binding pocket. During this activation process, receptors will undergo conformational changes which allow them to productively interact with G proteins, arrestins, and receptor kinases in order to regulate downstream events. 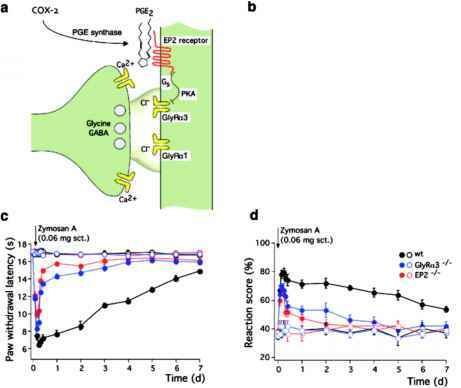 Recently, two different fluorescence- based assays have allowed direct monitoring of con-formational changes that underlie ligand-induced receptor activation. The first assay was based on tetramethylrhodamine (TMR) maleimide labeling of purified p2- adrenergic receptors at cysteines introduced at different sites as described above  . The basic premise was that ligand-.nduced changes in the receptor conformation will alter the hydrophobicity close to the TMR maleimide label. This can be monitored spectroscopically as a change in fluorescence. This method principally provides information on the kinetics of ligand-i nduced conformational change, and has been used successfully to characterize conformational changes of the p2 adrenergic receptor that occurred upon binding of different ligands . Due to the small size of the fluorophores utilized for site-specific labeling of the receptor, the approach allowed mapping hydrophobicity changes within small regions of the receptor. In regard to precise structural information, the approach may provide more information of where the fluorophore actually moves. Critical limitations of this technique include the requirement to purify receptors, to functionally reconstitute them, and to remove any reactive cysteines in the protein. Even when these limitations have been overcome, such as was demonstrated for p2-adrenergic receptors, the kinetics of receptor activation seem to be unreal-istically slow compared to situations in intact cells. An alternative approach for detecting receptor activation on the level of the receptor itself is based on FRET and is discussed in detail later in this chapter (detection of receptor function by means of FRET).